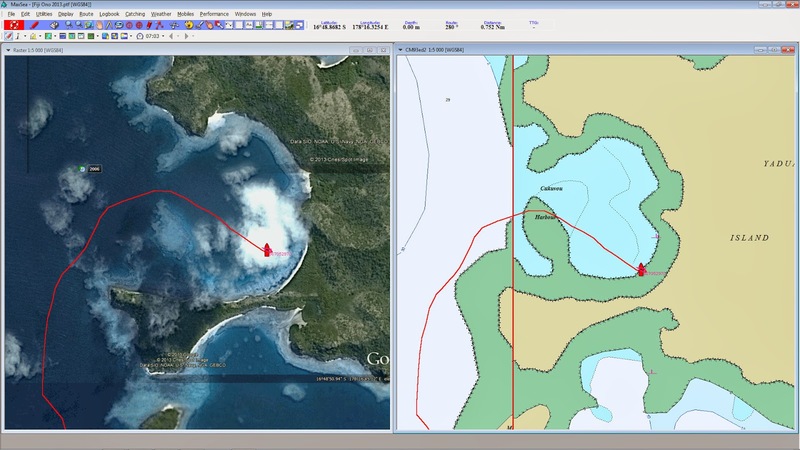 We're heading 16nm north to Tevoro Pass if the Great Sea reef on the northern edge of Vanua Levu. If the wind remains light then we'll look for a sandy patch to drop anchor for the night or if the wind cooperates we get underway for Rotuma. Overview map of Fiji with the black line indicating our intended track to Rotuma, Fiji. 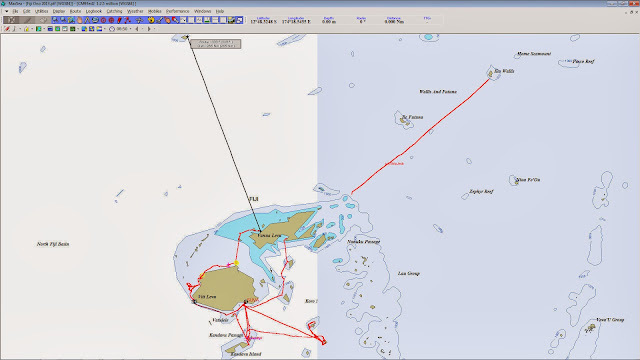 The red lines are some of our tracks while sailing around Fiji in 2013. Yadua Cukuvou Harbor Anchorage Maxsea CM93 chart is pretty good, but Google Earth is a nice addition.